Popeye knew it well, iron is an indispensable ally for our body. In general, a balanced diet should cover our needs, but how to provide us with iron? In foods such as red meat, crustaceans but also chocolate, seaweed, and spices we can find the answer. Although it is present in many foods, sometimes we can suffer from iron deficiency and even reach anemia. In fact, iron is not always well assimilated into our body, meaning that our digestive system often finds it difficult to extract this mineral from food, transfer it to our body and store it. A daily intake of 9 mg of iron for men and 18 mg of iron is recommended for women and adolescents. Because it is well known that when menstruation appears, the women’s body must compensate for this loss of iron. In this way, when menopause arrives, women will need a lower iron dose of approximately 9 mg per day. Pregnant women should also get iron. About 20 mg per day is the recommended dose for a good development of the fetus and good iron index during breastfeeding. What happens when we lack iron? The first symptoms are fatigue, pallor, exhaustion, less resistance to infections … These are some of the indicators of an iron deficiency or anemia. This can also cause the reduction of physical abilities and intellectual performance as well as disorders during pregnancy. On the contrary, too much iron in the body is also harmful, something called hemochromatosis. What are the reasons for iron deficiency? – Lack of iron in the diet or a poorly balanced vegetarian diet. – A low bioavailability of iron due to excess tea or calcium supplement. – A reduced absorption of iron caused by gluten intolerance, an inflammatory bowel disease or other intestinal disorders. – Abundant blood loss such as during menstruation or childbirth. – An increase in the need for iron due to pregnancy, breastfeeding, and growth. When it comes to food, we should not deprive ourselves of iron-rich foods such as red meat and crustaceans, but we must also take into account vegetables that have high doses of iron. For those who are important to consume vegetables, here is a list of the main ones in terms of iron content, so that they always integrate your usual diet. 1) Mung bean or mung bean: In general, legumes contain different elements beneficial to health such as wood fibers, carbohydrates, and antioxidants. But one of the most important advantages of mung bean or mung bean is that it contains high iron levels; approximately 1.8 milligrams per 100 g.
At the same time, add zinc, copper, and potassium. Because they are low-cost pulses, they are part of the list of foods with the best position in their nutrient-price ratio. Certain studies associated the regular consumption of legumes with different beneficial effects for health such as a better control of diabetes, a decrease in the risks of cardiovascular diseases, a better management of body weight and a decrease in the risk of colorectal cancer. These benefits would be partly attributable to different compounds present in legumes such as food fibers. The American dietary recommendations suggest, on the other hand, to consume vegetables several times a week, the ideal dose being about 680 g per week. 2) Spinach: Spinach is also an excellent source of iron. In addition, they are low in calories because it contains only 22 calories per 100 g and as an additional benefit, we must mention that it contains important antioxidants and are also rich in vitamin A. Spinach is that kind of vegetable that enhances its iron content once it is cooked. That is, they are more beneficial sewn than raw. 3) Broccoli: Broccoli contains 1 mg of iron per 100 g and this represents 6% of the recommended daily contribution. It is incredibly nutritious! In addition, broccoli contains 168% of vitamin C recommended for an adult and as we already know, vitamin C helps absorb iron. Broccoli is also rich in folates and provides 6 g of fiber and high doses of vitamin K.
These vegetables belong to the cruciferous family, where they also find cauliflower, Brussels sprouts, kale, and lettuce. 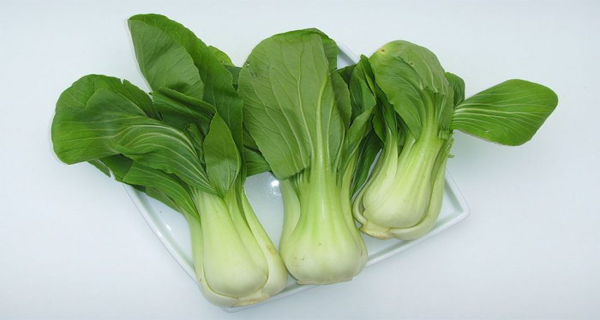 The crucifers contain indole, sulforaphane, and glucosinolates; plant compounds that prevent cancer. 4) Tofu: Tofu is a soy-based food that is very popular among vegetarians and in certain Asian countries. 126 g of tofu provides 3.6 mg of iron, which represents 19% of the recommended daily intake. It is also a good source of thiamine and other minerals such as calcium, magnesium, and selenium. The proteins that tofu contributes are not insignificant either since a single portion contains 20 g.
Tofu isoflavones are linked to improving insulin sensitivity, reducing the risk of heart disease and alleviating menopausal symptoms. 5) Dark Chocolate: The dark chocolate, besides delicious, is very nutritious. A portion of 30 g has 3.2 mg of iron, which represents 18% of the recommended daily contribution. Only this small portion adds 25% copper and 16% magnesium. Dark chocolate contains prebiotic fiber, a food for friendly bacteria found in the intestines. A study revealed that cocoa powder and dark chocolate have a greater antioxidant power than the juice of acai berries and blueberries. Other research has shown that dark chocolate has beneficial effects on cholesterol and can reduce the risk of heart attacks and strokes. However, all chocolates are not the same. It is believed that flavonoids are responsible for the benefits of chocolate and the amounts contained in dark chocolate are greater than those of milk chocolate. That is, it is preferable to eat chocolate with at least 70% cocoa, to make the most of its benefits. 6) Lentils: Lentils are a rich iron food with a contribution of 3.3 mg per 100 grams. They are also rich in fibers, which facilitates digestion and intestinal transit, in addition to having high-quality vegetable proteins. They are ideal for athletes and also for pregnant women because of their high concentrations of folic acid. But lentils not only contain iron, but also large amounts of magnesium and vitamin B.
Lentils are an interesting option for vegetarians or vegans for their nutritional contribution. They can be consumed hot or cold as another ingredient in salads. 7) Kale: This vegetable also known as kale or cabbage brings vitamins that exceed the recommended daily amount. A 512% vitamin A and 200% vitamin C, but the star of the kale is the amount of iron it contains: 1.5mg per 100 grams. The amount of iron is greater than that of meat if we compare it in terms of calories. Iron transports oxygen in the body promotes growth and renews cells. It also adds vitamin K, whose intervention in the coagulation of the blood contributes to the formation of strong and resistant bones. Its high fiber content makes it an excellent ally against constipation. We find in this plant soluble fibers in the form of the gel in the heart of the kale that is dispersed in the water and insoluble fibers in the leaves that help the nutrients move from the stomach to the intestines. Fibers help lower cholesterol and slow down the passage of glucose into the blood. The consumption of this alkaline food favors the cardiovascular system and helps a good digestion. 8) Pumpkin seeds: Those pumpkin seeds that we always discard when we cook this vegetable, contain 3.3 mg of iron per 100 grams. Take advantage of them! They also contain zinc, phosphorus, and magnesium and their high nutritional value is due to vitamins A, E, F and those of group B. Their protein richness is very important: 35 grams of protein per 100 grams. They have all the essential amino acids. A good way to take advantage of their properties is to combine them in salads with sunflower seeds and other ingredients. They are rich in fatty acids and polyunsaturated fatty acids. The pumpkin oil extracted from the seeds contains six times more linoleic acid than olive oil. 9) Beetroot: Beet is grown since the Middle Ages and is a vegetable known for its high sugar, although it also contains large amounts of trace elements. Its content in iron is 1.8mg per 100 grams that help regenerate the blood. This vegetable is also rich in calcium and magnesium and owes its color to betanin. This substance allows fighting certain types of cancer since it is excellent for the good functioning of the liver. The beet is also rich in folic acid (vitamin B9) and allows a good assimilation of carbohydrates. Did you know that beet greens are also edible? And they are rich in iron! 10) Nuts: Nuts, almonds, pistachios, hazelnuts, dates, figs … contain on average 2.4g to 3mg of iron and with several of them it is easy to reach the recommended 15mg per day for adults and represents an energy contribution very important. The small amount of water that these fruits have allows them to be preserved for a long time. But beware! A load of calories is significant and is a healthy option but to respect in terms of quantity since caloric intake is important. The nuts can be eaten raw or as an ingredient in salads and smoothies. We have known the main plant foods rich in iron, but it is also important to know that others can inhibit the assimilation of this important mineral and it is something to take into account. Certain compounds such as calcium that contain dairy products or tea and coffee tannins prevent the proper absorption of iron. To not waste our efforts and enhance the iron ingested, consume other foods in vitamin C such as kiwi, tangerine, orange or add lemon to your salads or your meals. Do you know someone with iron deficiency? Do not forget to share this interesting information!